Pretty Sympathy Card! I love it! What a lovely set of cards! I love those flowers! They are beautifully coloured! Thanks for joining us this week at Freshly Made Sketches! Beautiful cards! Your coloring of the flowers on the top card is amazing! Thanks so much for joining us at Freshly Made Sketches. Two beautiful, cheerful cards! Your coloring job in both mediums is awesome! 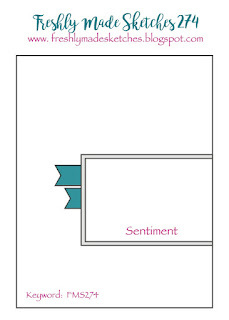 Thanks for playing along with us at Hand Stamped Sentiments! What beautiful cards! I love the flowers. Thank you for sharing with us at HSS! 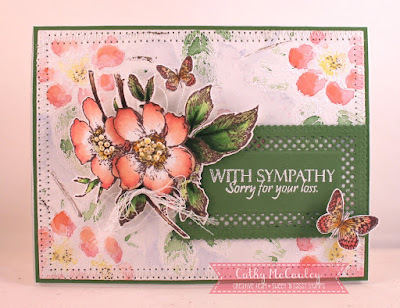 I love the gorgeous flowers on your sympathy card. What a wonderful way to show you care. 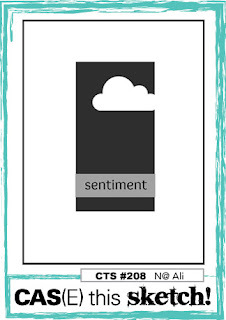 I'm going to CASE this card for a sympathy card I need to create. 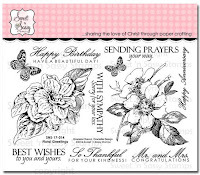 Thank you for playing at Hand Stamped Sentiments. Beautiful card! The colors are great and you did a fabulous job coloring them. 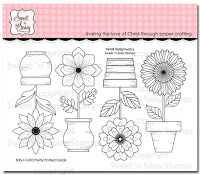 Thanks for joining us at hand Stamped Sentiments for our Inspiration challenge.